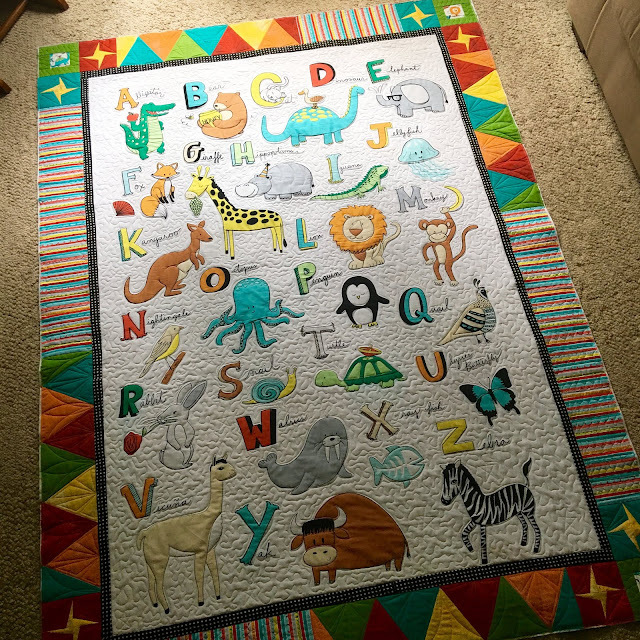 Jan made this fun quilt for her 5-year-old grandson, Jack! She requested custom quilting, which was pure fun, with all those animals, triangles and stars! 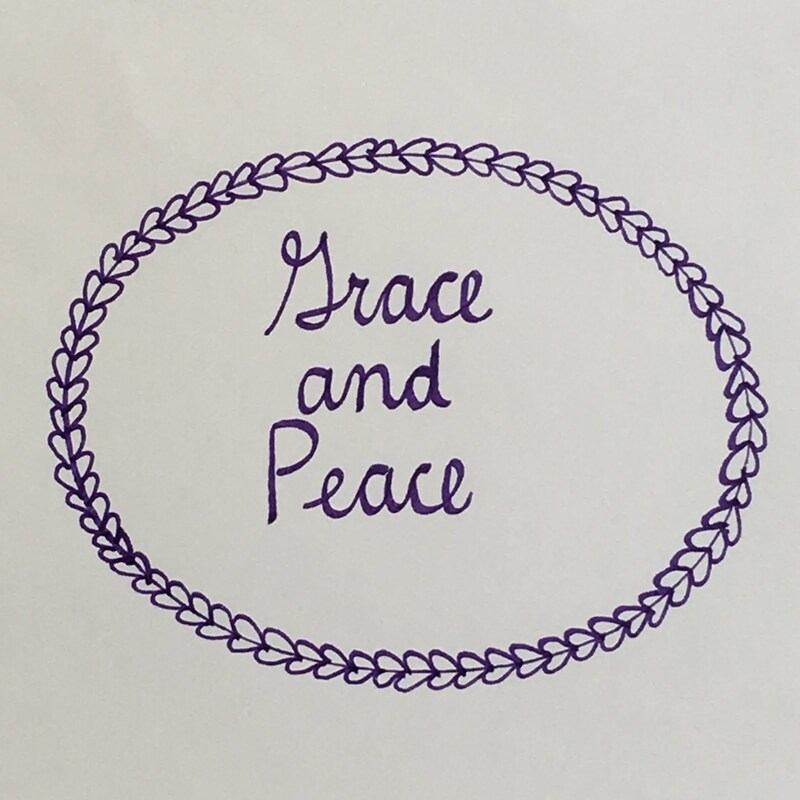 In case you're wondering, like my DH was, the giraffe is holding grapes because both words start with a G! We couldn't figure out why the elephant is wearing glasses though! Jan suggested it might be eyewear. The vicuna was definitely the favorite in my family! And a couple family members questioned the existence of x-ray fish. Guess what, we learned there are x-ray fish!!! 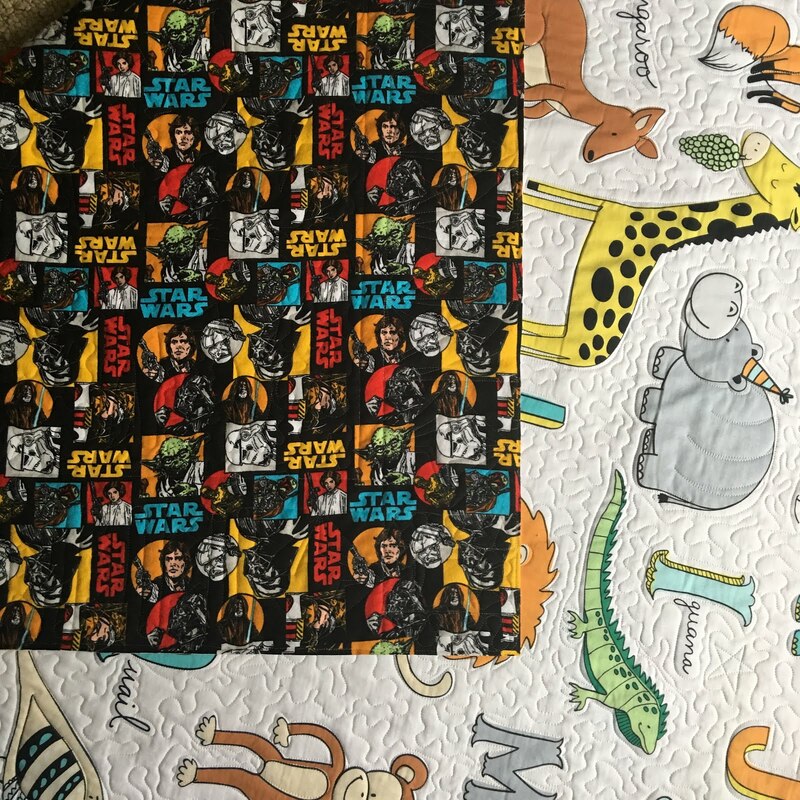 For backing, Jan chose flannel "Star Wars" fabric, one of her grandson's interests. Super soft! This adorable panel is made by Windham Fabrics and is called a "super panel", since it is 45" X 70"-- larger than most panels, which are usually 24" X 42". The border especially adds a lot to this quilt. 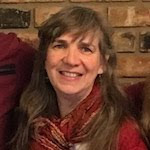 Great job, Jan! 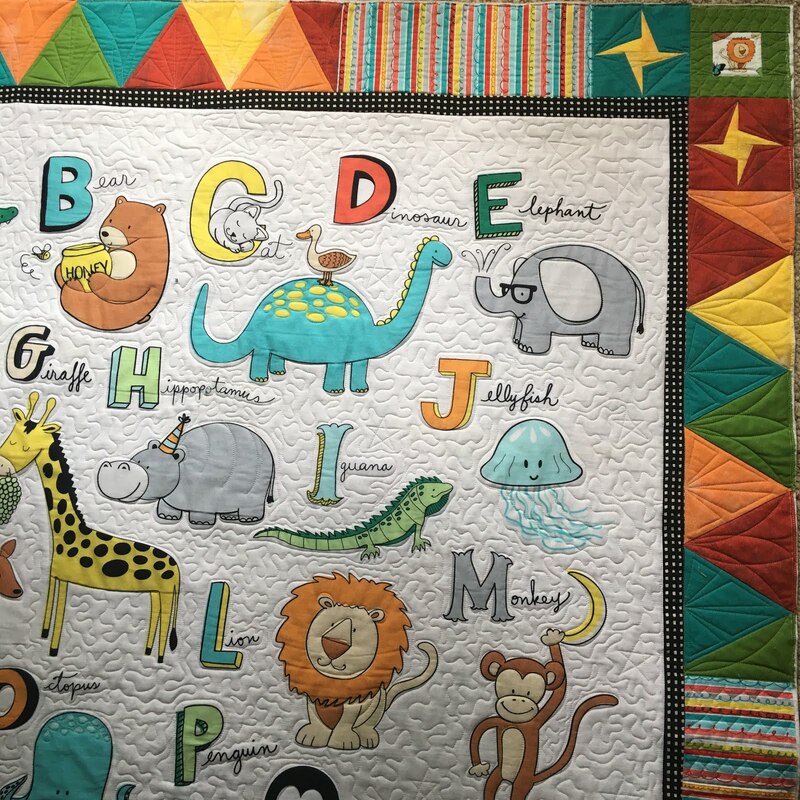 Head over to Crazy Mom Quilts for more quilt stories! That is just so cute! I love the giraffe holding the grapes and the monkey holding the banana-shaped moon. 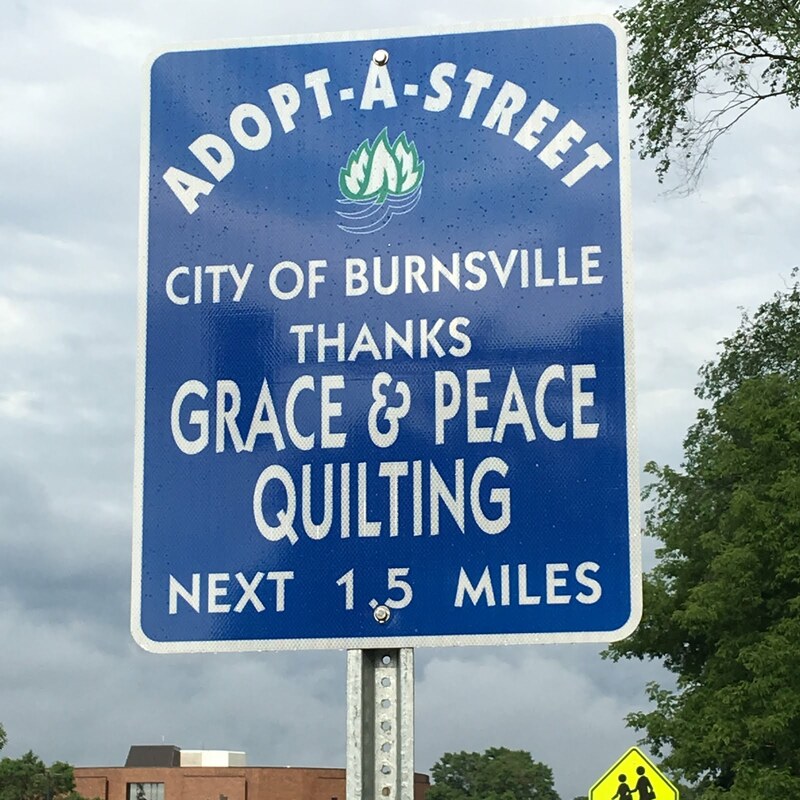 I wondered as I was reading whether it was applique, and thought it was a lot of work. But a panel? Brilliant! Your quilting really elevates this beautiful quilt, I'm glad it's custom quilted! I agree that your quilting really makes the panel shine. 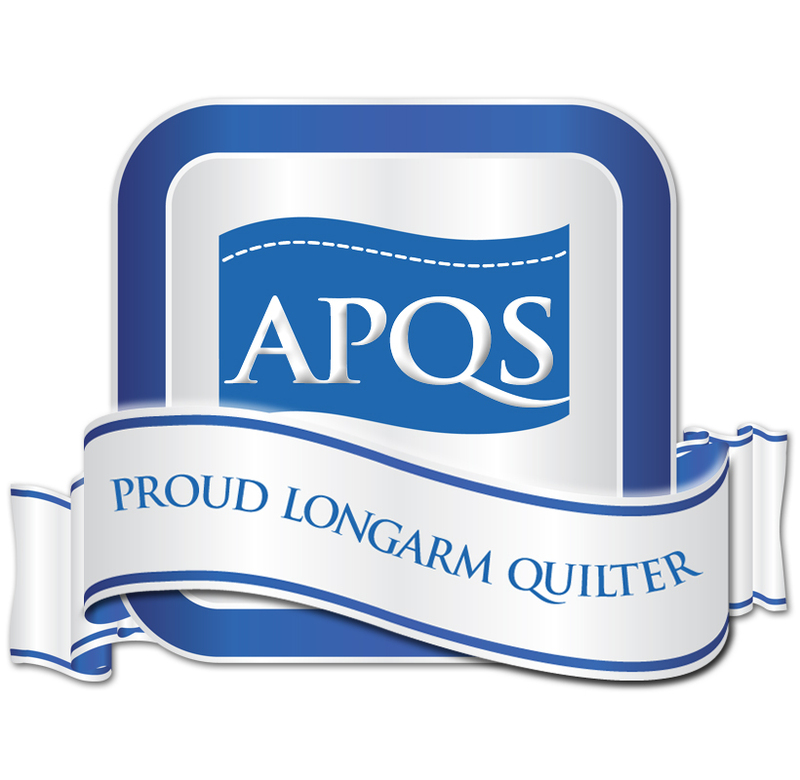 It is a great panel and a good size as it seems crib size quilts don't get used as quilts any more. I think in some countries glasses are called eye glasses. 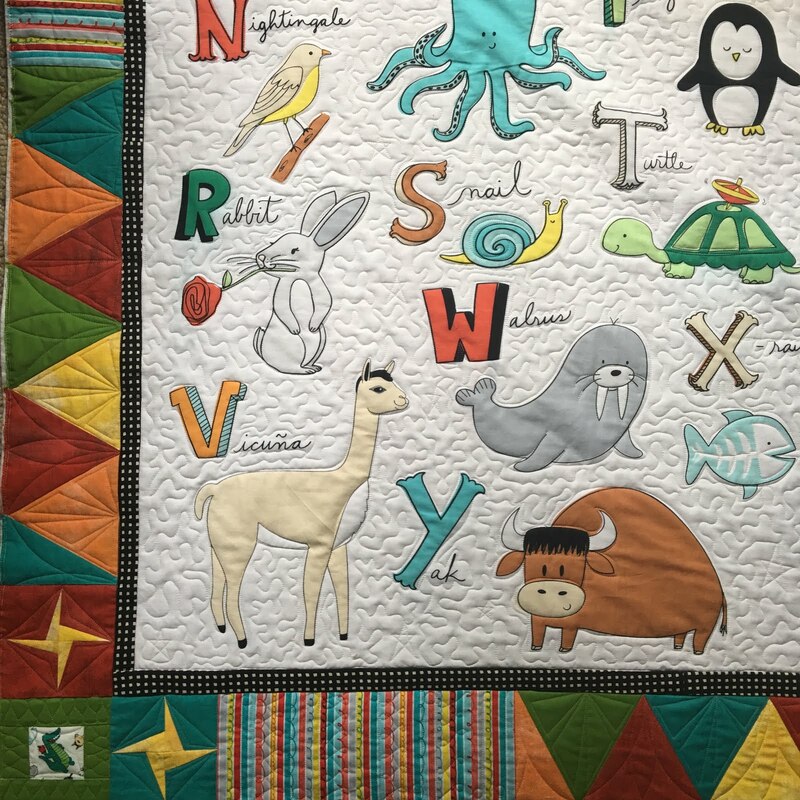 The border on this quilt really adds to the fun. 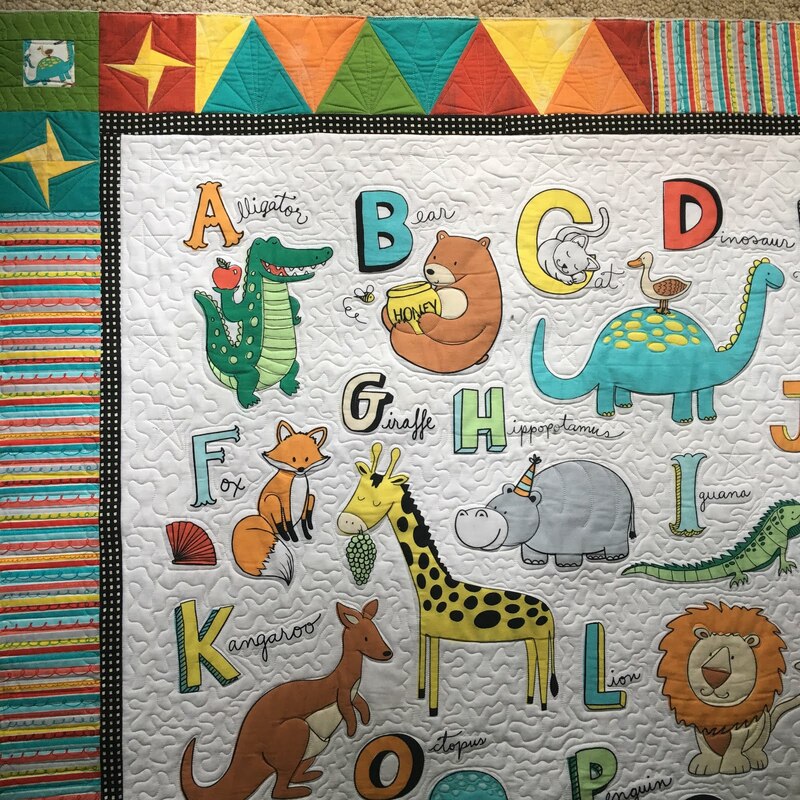 What a great little quilt, and of course, enhanced by your quilting. What a cure panel! And I frequently hear the term "eyeglasses," so perhaps that's it? I wish I saw more panels this size. X-Ray fish are certainly real. I've got one in my own yet unfinished Animal ABC quilt! 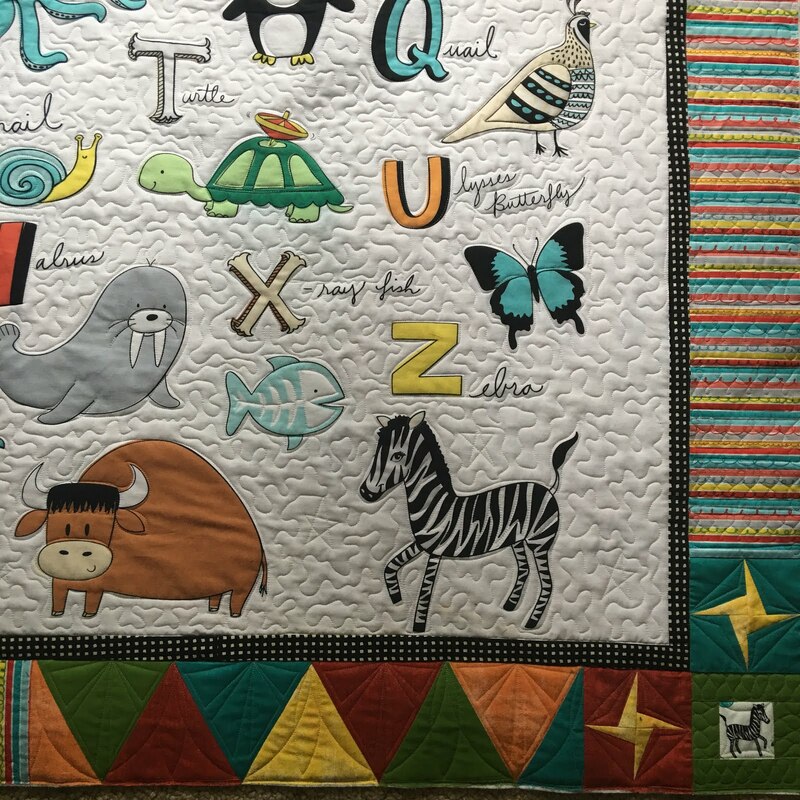 Love the border and your quilting in extraordinary! Thanks for sharing.